We don’t call this the Ultimate Lanyard for nothing. 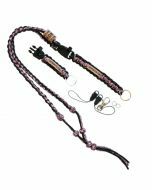 GeoKnots took all the things that geocachers need in a lanyard, and made it even better. You won’t have to trust your expensive GPS, smart phones, cameras, and other electronic gear to a flimsy “made in China” strap any longer. 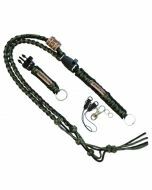 Each Ultimate Lanyard is proudly made by geocachers, for geocachers from super-strong US-made survival paracord.